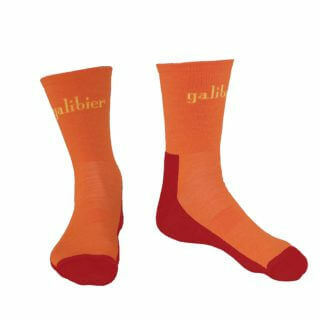 Our 2019 Classique socks are constructed from soft, synthetic fabrics which fully support the footbed and excel at drying out quickly. These Cycling-specific socks are woven from polyester with Lycra® fibres and CoolMax®, which help the socks fit close to your foot and calf. The weave and construction deal with sweat efficiently, and have an elasticated arch flat and ankle elastic so they stay in position. These socks will take a 40DegreeC machine wash to keep them looking smooth all season. With a breathable mesh upper, these socks are designed for high-intensity riding or racing and will perform from 10-35 degrees C.
These sport a 16cm cuff, not too tall and could indeed make you go faster….or smile more. Lovely socks, superb colours and material. Like the length as well. Nice sock, great length, soft and supportive materials and as always, understated smart design. Will be getting more for sure. Looks well made as well. Comfy, quality and good looking. Lovely socks. 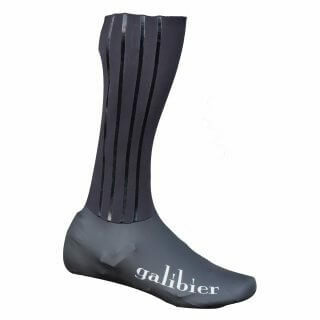 Great after-sales service from Galibier. Bought in the large size for my size 9 feet, gives me the option to pull them up for a high cuff or keep them low for building those tan lines. Super quality and lovely soft feel.